What amounts are included in the ‘value of supplies’ under paragraph 73K(1)(b) of the definition of ‘R&D group turnover’, in the Income Tax Assessment Act 1936 (ITAA 1936), for a year of income, for a company that has entered into an agreement for the provision of services over a number of years of income, where no precise portion of the consideration expressly relates to services provided in a specific year of income? The amount to be included in the ‘value of supplies’ under paragraph 73K(1)(b) of the definition of ‘R&D group turnover’, in the ITAA 1936, depends on making a reasonable estimate of that portion of the consideration related to the supplies, made under the agreement for the relevant year of income. The taxpayer is an ‘eligible company’ as defined in subsection 73B(1) of the ITAA 1936. It undertook ‘research and development activities’ (as defined in subsection 73B(1) of the ITAA 1936) in the relevant year of income. The eligible company incurred expenditure on these activities. The eligible company was grouped with another company in the manner described in section 73L of the ITAA 1936 during the relevant year of income. Under section 73K of the ITAA 1936, when determining its’ ‘R&D group turnover’, the eligible company was required to include ‘the value of supplies made in the year of income by other persons while they were grouped with the company’. In the relevant year of income, the company grouped with the eligible company in the manner described in section 73L of the ITAA 1936, provided mortgage brokering services, including originating and managing mortgages, dealing with general client enquiries, monitoring client loans and discharging loans. These services were provided over a number of years and the total consideration for the services in the agreement was specified as a single amount. The agreement did not specify individual amounts of consideration for the services supplied for each year of the agreement. Further, the obligation to pay this single amount of consideration was to be discharged by the other party making regular payments. However, these payments were set on a purely arbitrary basis, and did not represent what the consideration would have been if the agreement had been only for the year of income in question. 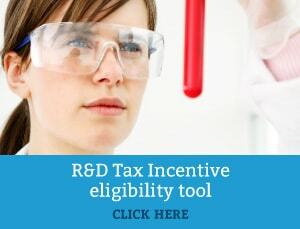 Section 73I of the ITAA 1936 provides that an eligible company can choose a tax offset rather than a deduction for research and development expenditure.